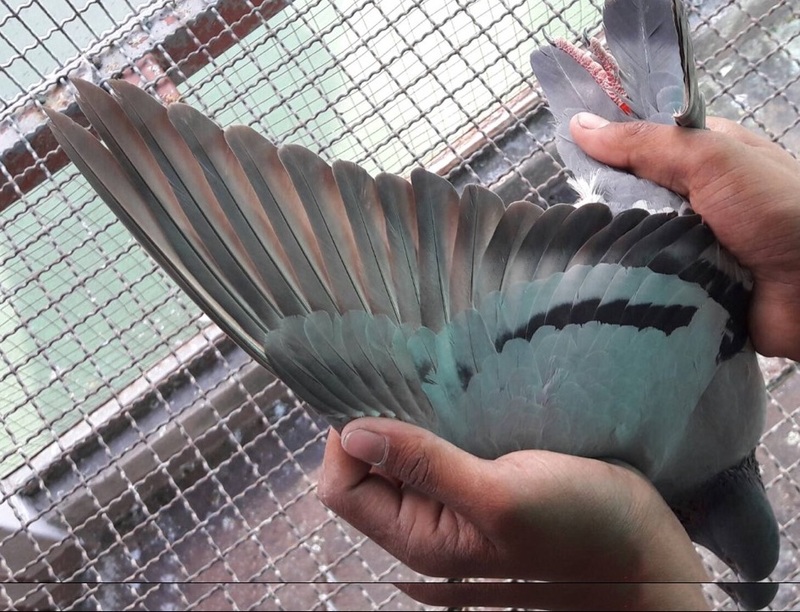 Five days after the first Hot Spot 2 was nullified due to human error which had never happen after ten years of operating, the remaining 638 birds were basketed for a re-run. 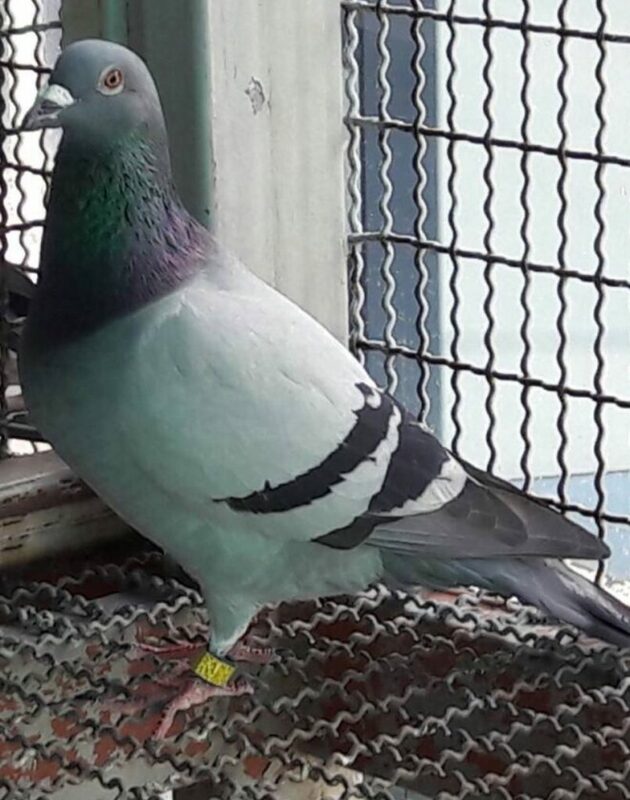 This time the distance was reduced from 430 km to 400 km because of the limited time the pigeons had for recuperation. The first voided run was twice unfortunate because Thailand was within the influence of typhoon ‘Tambin’ from Vietnam. The last 200 km to the loft was covered with rain and almost zero visibility. Luckily the faster groups of birds had escarped the rain and arrived home in good speed. About 30% of the 736 birds sent stayed overnight and to wake up facing the second day of rain, poor visibility and very strong tail wind that blew many of them further away to the west. We lost around 90 birds in that race. The weather became nice again after two days and most of the birds recovered back to their good form. There was no road training during the week. This time, the birds were released at 7.00 am from 400 km on the new year day of 2018. It was bright and cool at the release point with north-easterly wind 15-35 km/h. 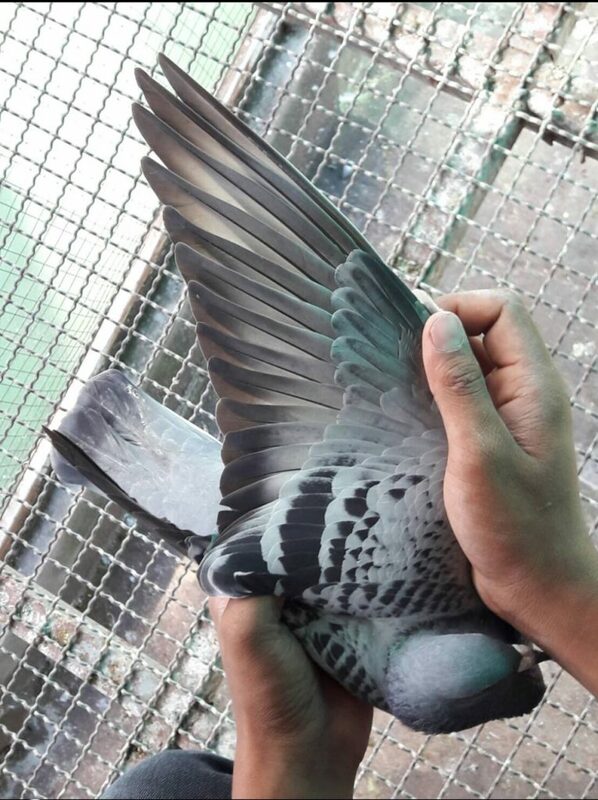 As expected for such a perfect racing condition, the first group of about 30 birds took less than four hours to reach home. The first dropper wasted no time dashing to the landing board and was clocked at 10.56.14.80 am beating the first runner up by 1.5 second and recording speed of 1592.0609, the fastest ever in our racing history. The following five birds were timed in within one second by the high speed antennae. All 30 pigeons were clocked in within 10 second. By noon, 459 birds or 73% had returned home and by the end of day 530 birds made it home. The other 108 birds checked in some temple roofs elsewhere. Given the good weather condition in the second race day, the frequency and the number of the overnight returnees was not fast and large enough. In all, 579 birds came back in two days and followed afterwards by a couple dozens more. The first prize and the Queen Cup winner was a nice check hen KWT17- 909065 belonging to Abdulaziz Al Kandari, our keen supporter from Kuwait. 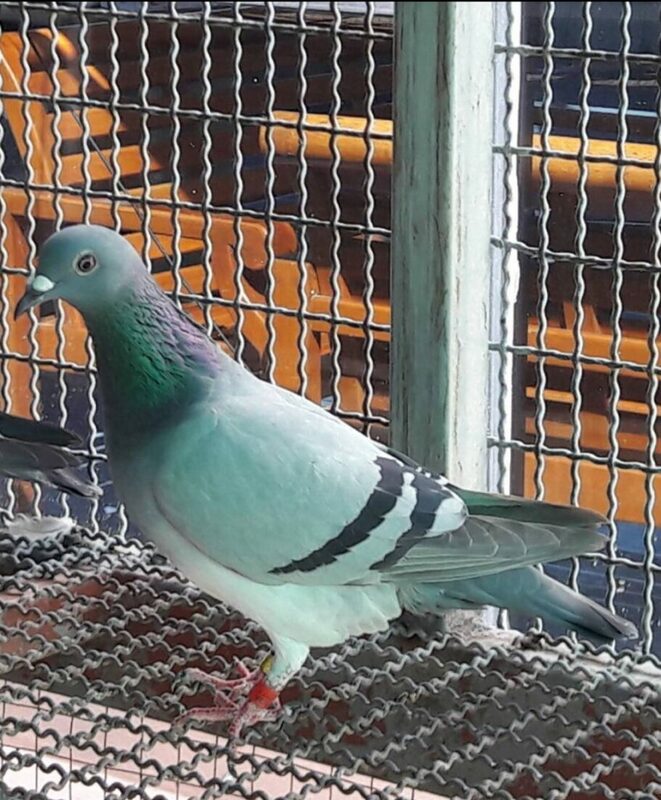 The Blue Blood team scored second with their RPIA17-34309, a blue hen which won the 114th position in the first hot spot and now ranked 3rd in ACE pigeon standing. The third prize went to GB17-Z029916NA, a nominated bird of Lee Davison from England. 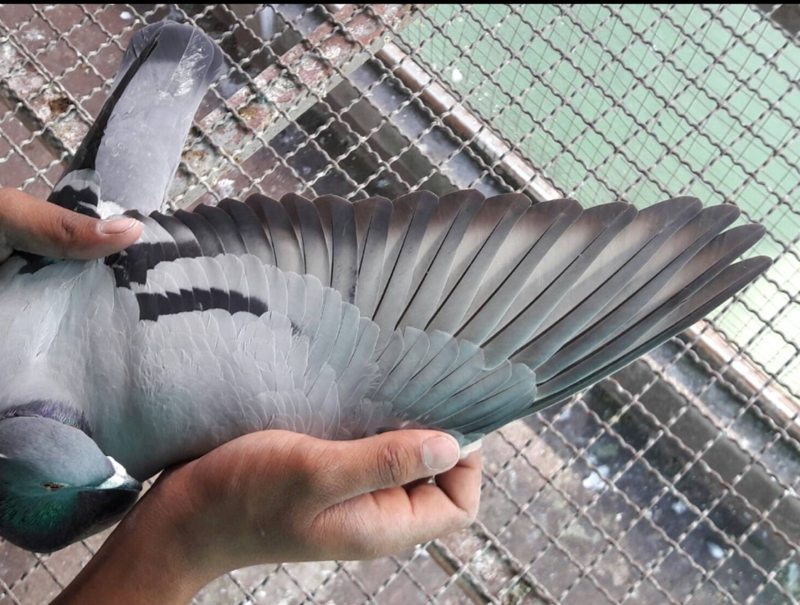 It is noteworthy that foreign registered birds performed very well, in fact beating local birds, in wet, cool and windy condition. Many familiar names were within the first fifty positions which would earn them the money prizes. Stealing the show was Hardy Kruger/Oliver Eschenberg team who’s five pigeons (from the total 6 entered) snatched five early prizes starting from 9, 23, 24, 35 and 93. 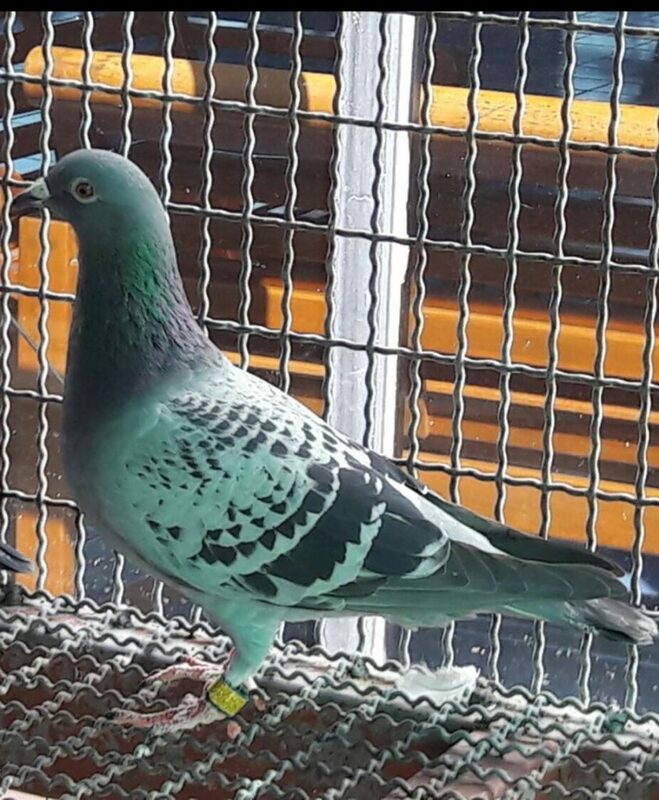 Three of these five birds were placed 5, 17 and 72 in hot spot 1 race from 330 km a week earlier.. Needless to say, Hardy had now three top candidates in Ace Pigeons ranking, 1st, 7th and 8th. It was his DV17-07274-949 which won the 5th and the 9th positions in two races that made him the first candidate on the podium. Hardy would have a lot more to talk about back home in addition to what that have made him one of the leading figures in OLR races. 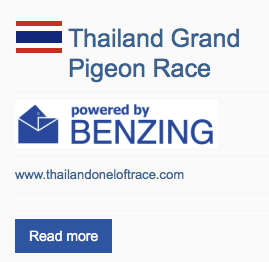 Basketing for the final 530 km King’s Cup race will be done on Monday, January 8th and the birds liberated the next day. There would be around 600 birds going to the race. We hope the weather would be as nice as presently is although a bit warmer than the previous race. Enjoy.